The latest version of the GUI is available publicly at http://rackhd.github.io/on-web-ui you can also download a zip of the latest version. Source code for the web user interface is available at https://github.com/RackHD/on-web-ui branch on-web-ui-1.0 There is also a README for learning how to about UI development. Once the UI has loaded in your web browser. Click the gear icon located at the top right of the page. 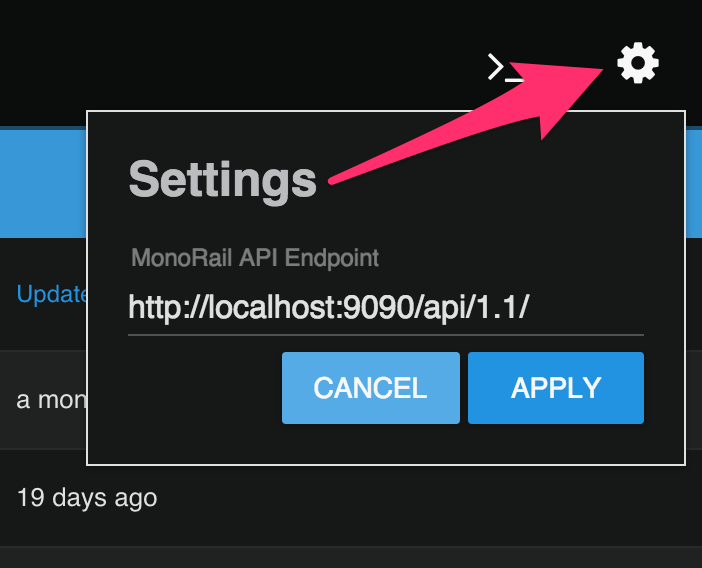 Enter the new URL for a running MonoRail API endpoint.